1 x 200pin CPU Fast Slot. 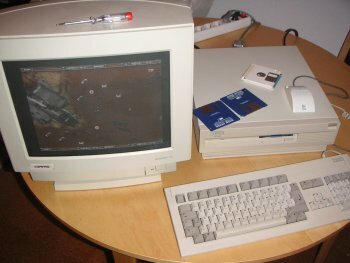 The A3000 is regarded by some Amiga fans as the best model ever made, but they generally forget about the A3000T and A4000T which actually offer a lot more. 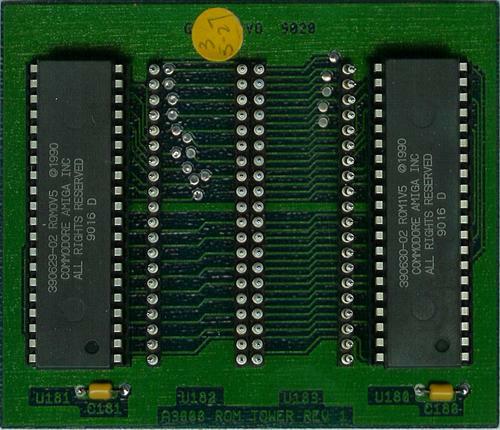 The A3000 unlike most Amiga models, supports both ROM based Kickstarts and disk based Kickstarts, although not simultaneously. Kickstart V1.4 is actually a special version of Kickstart which loads the real Kickstart from a file called DEVS:Kickstart. Kickstart V2.04 was available as a ROM, or as a disk based version for use with A3000's which had Kickstart V1.4. A3000's fitted with Kickstart V1.4 cannot use 040 or 060 processors, regardless of what version of Kickstart is eventually booted, because it relies heavily on the integrated MMU in the 030 which varies to some degree from the MMU in 040 and 060 processors. The A3000 also contains a built in scandoubler and flicker fixer so that standard PC type SVGA monitors can be connected and display the native (PAL/NTSC) screen modes. It was available as a separate card for other Amigas called the A2320. The scandoubler can be disabled if necessary by a switch on the back of the machine. There is also a variable switch to finetune the scandoubler. 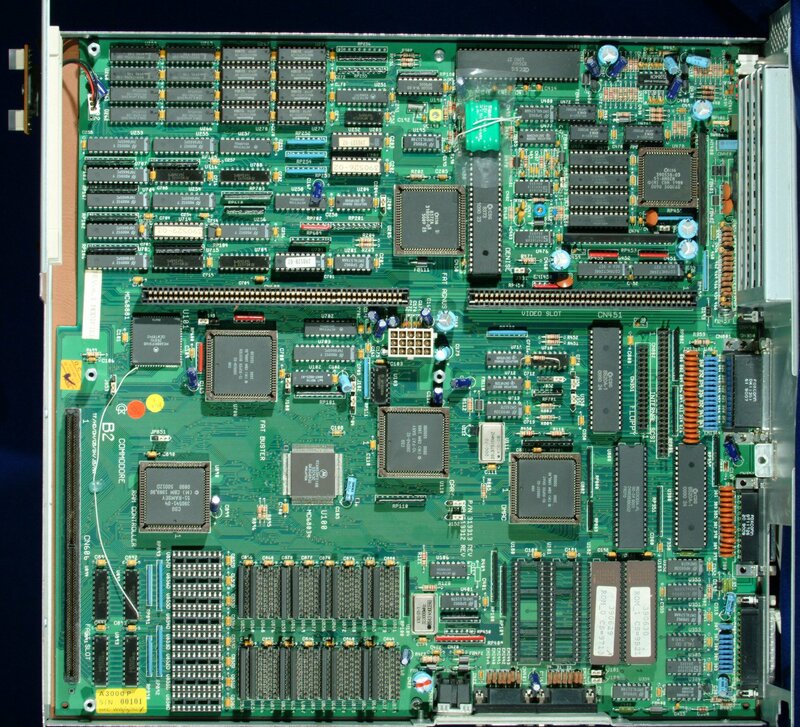 The A3000 has a SCSI-II controller (WDC33C93) on the motherboard which is much faster than the standard IDE Controller that was supplied with the A4000 and other models. 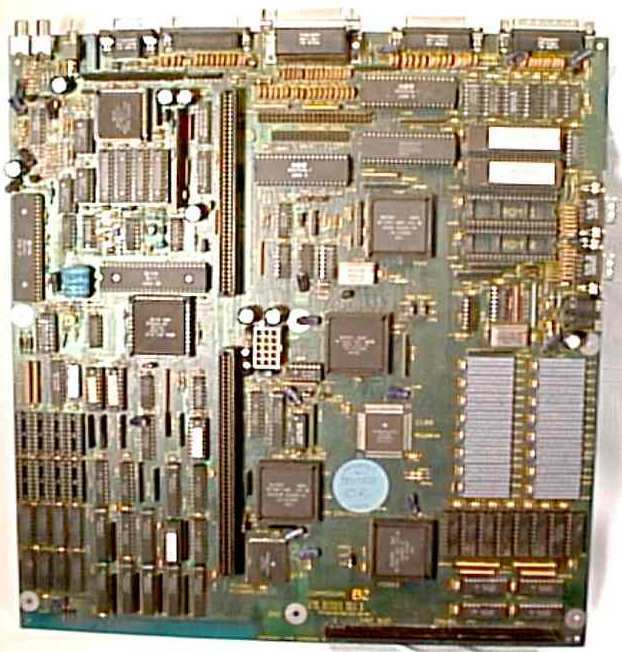 However some motherboard revisions have SCSI termination directly on the motherboard and others don't. You may find you need at least one SCSI device attached in order to boot, even from floppy disk. 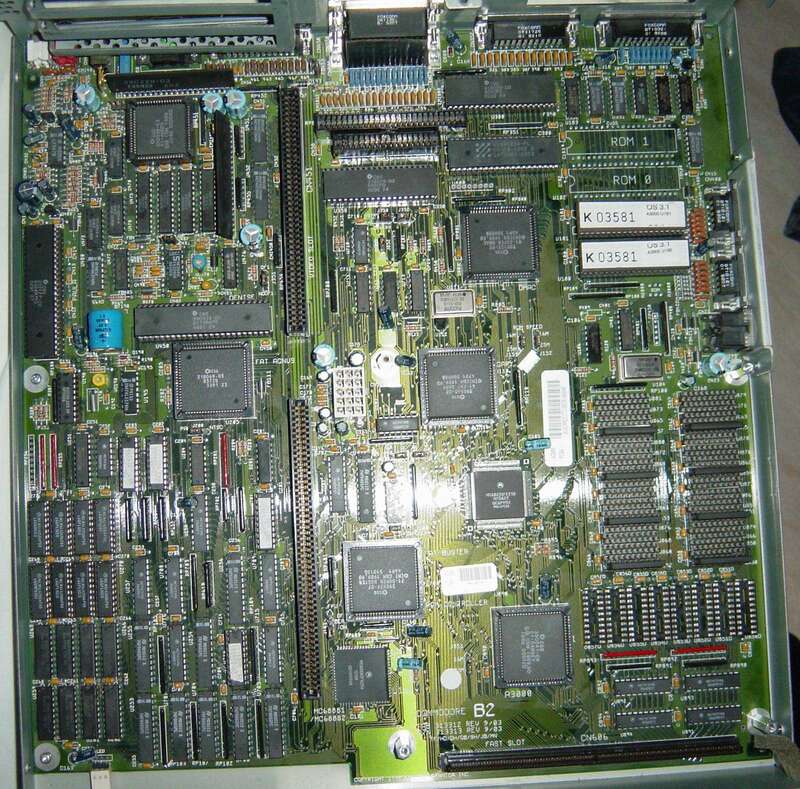 The A3000 is one of the few models of Amigas which actually has some NVRAM, primarily for storing the configuration settings of the SCSI controller, such as Controller ID, SCSI bus timeout, Synchronous mode and LUNs. 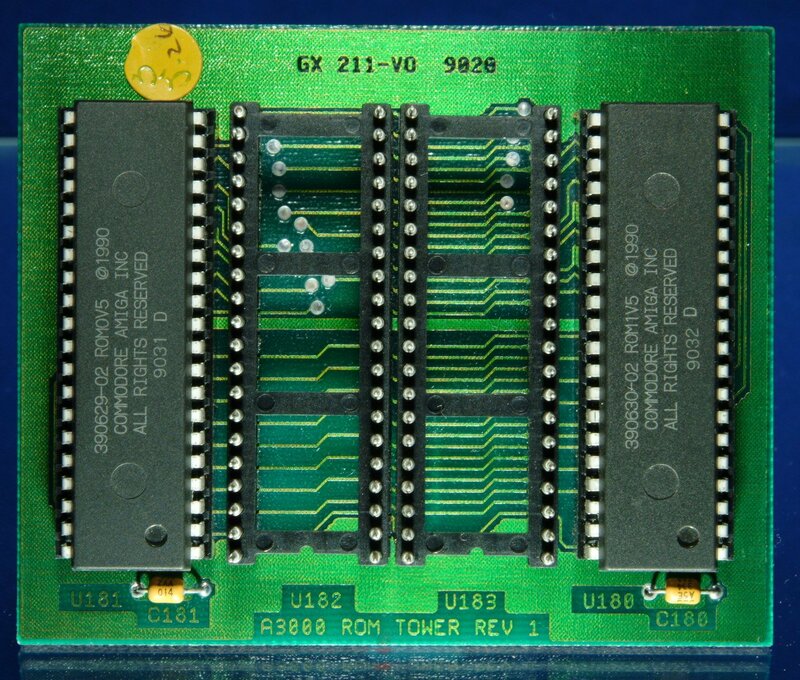 There are RAM sockets on the motherboard for expanding CHIP RAM up to 2MB, providing your Agnus chip supports it. These are in the form of DIP sockets. 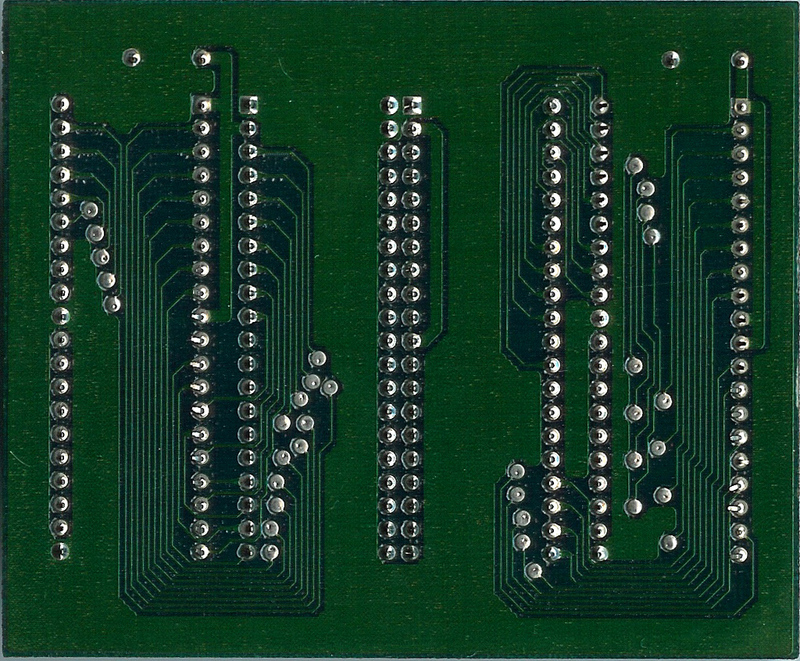 The motherboard also contains 32 ZIP CHIP sockets and 20 DIP sockets for adding additional memory. If the DIP sockets are used then only a maximum of 4MB of Fast RAM can be added. If ZIP memory is used then 16MB of Fast RAM can be added. The ZIP and DIP sockets cannot be used simultaneously. If you intend to use Zorro III cards which make use of Zorro III DMA then you need to upgrade Buster to Rev 11. 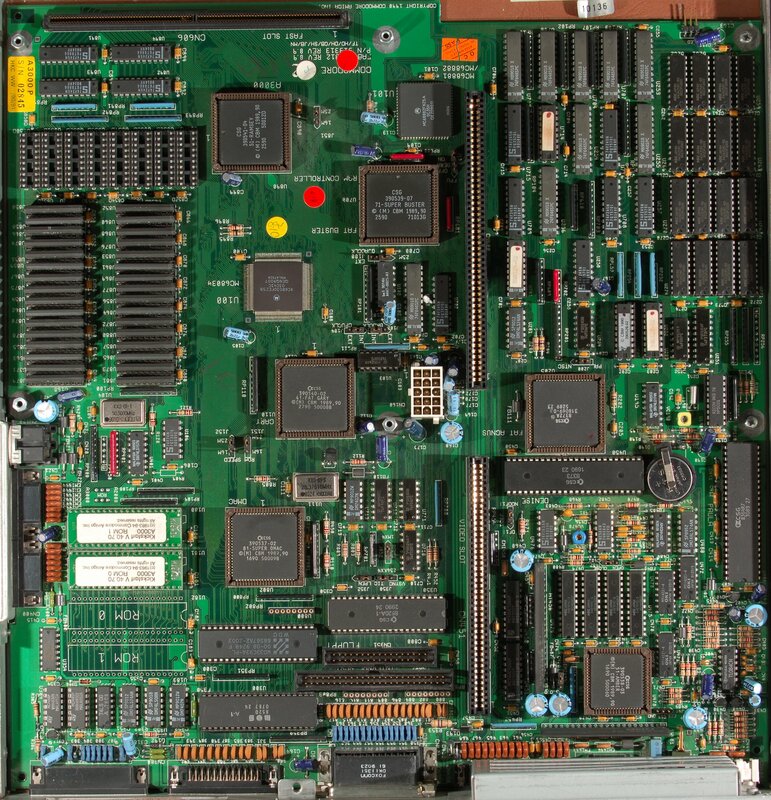 The Zorro III and ISA expansion slots are on a daughterboard (riser card) which is connected to the motherboard and rises vertically from it. 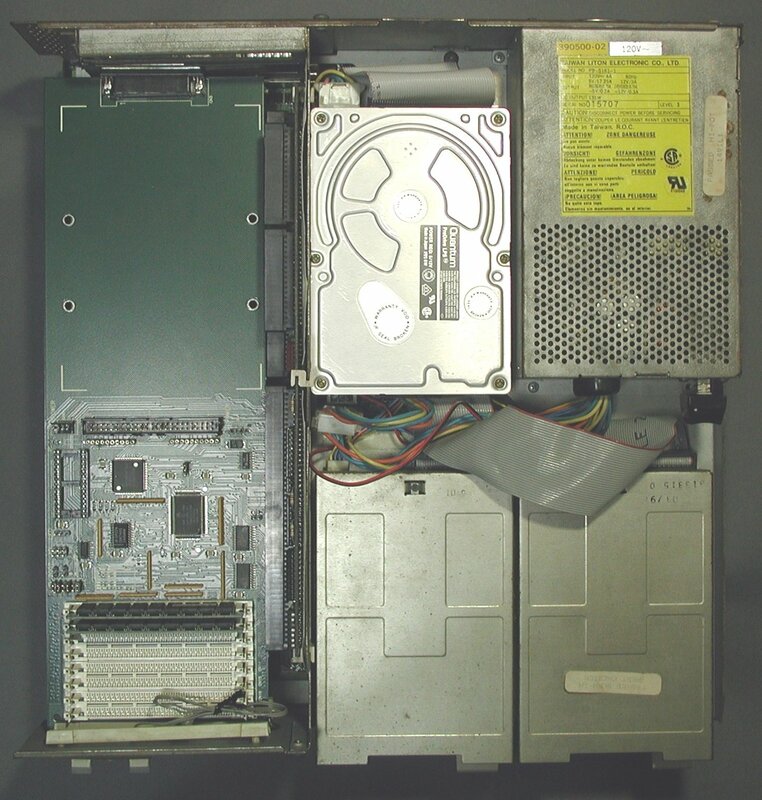 The A3000 may suffer SCSI related problems when several SCSI devices are attached to the bus. The most common are random SCSI bus lockups, especially with CD-ROMs and tape driver and random checksum errors when copying large files between devices. 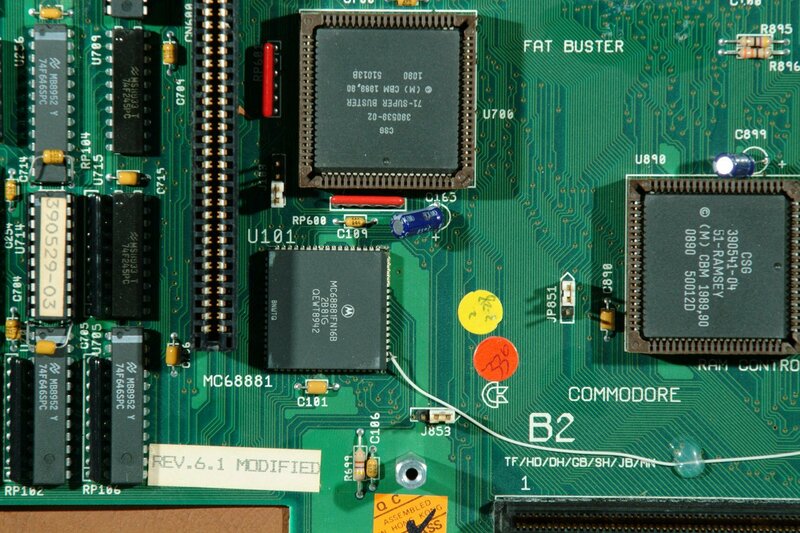 These problems can, in most cases (providing termination and jumpers are correct) be attributed to the WD33C93A SCSI controller chip in the A3000. Most, if not all, A3000s shipped with the WD33C93A-PL 00-04 chip revision. 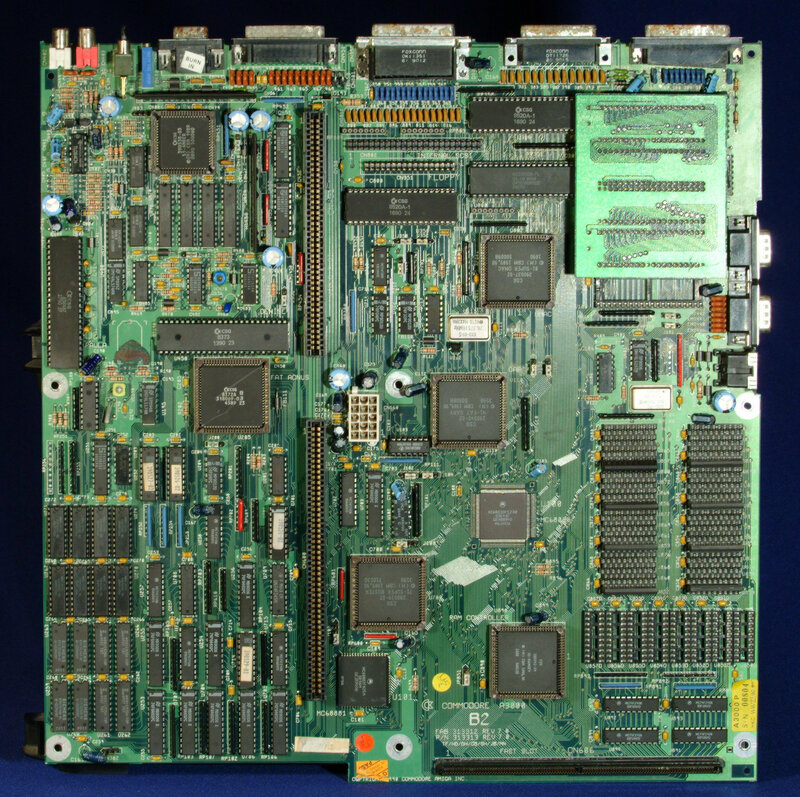 This chip had known bugs when multiple devices were present on the SCSI bus. 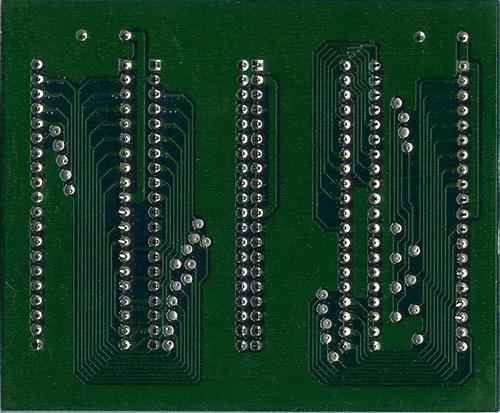 The WD33C93A-PL 00-08 chip revision addresses and fixes the above problems. Certain accelerators, primarily those with onboard SCSI may require the INT2 modification to function fully. 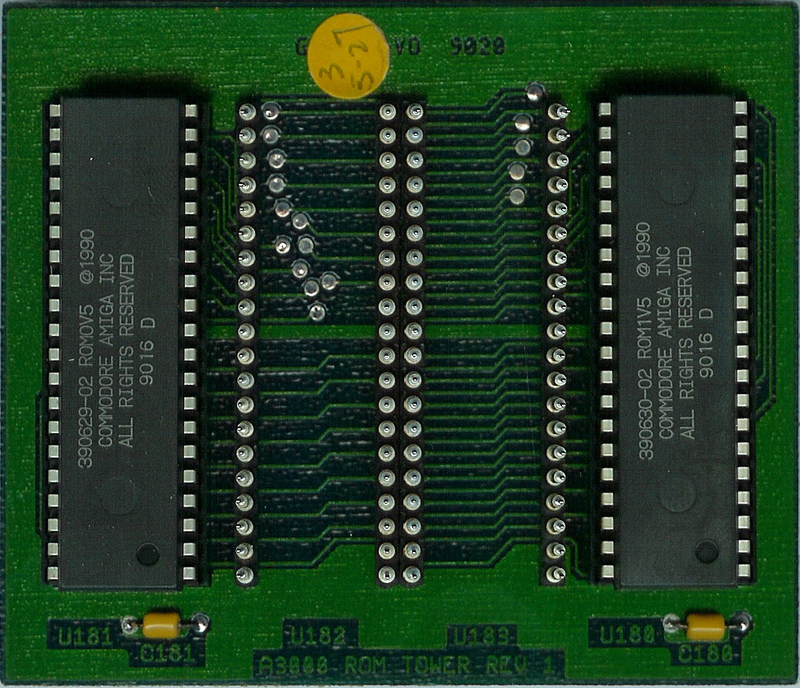 The A3000's CPU Fast Slot does not contain the INT2 signal as found on the A3000T, A4000 and A4000T. An INT2 modification guide can be found here. The ROM timing circuit provides four different speed settings to match the output enable and access timing of the system ROMs. To set the jumpers, determine the output enable time and access times for the ROMs you wish to use. The ROM must have lower values than the setting you select. System standard ROMs have T(oe) = 110ns and T(acc) = 250ns. Page contributors: Christian Buker, Dave Haynie, Erik Wallen, Erol Ismael, Greg Scott (National Amiga), Jan Pedersen, Marius Lauritzen, NicDouille, Orjan Lindgren, Rick Harris, RiWa & Friends, Ron Mascaro, Takahasi Kasiko.